Nikolaos Sitsanis is the CEO & Founder of Speakt.com a Translation Company of next generation. In 2010, Nikos Sitsanis, a new businessman, founded a company in Xanthi, a provincial city in Greece. At the time, the company was called Translation24.gr and provided text translations via the Internet. Nikos had big ideas. Starting his company in Greece, his objective was to sell translations online, in Greece and abroad. The story started a little differently 2 years ago. 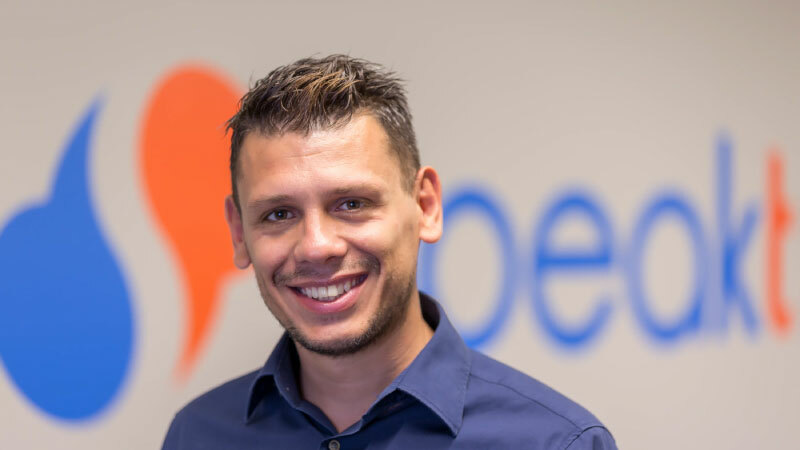 The passion for travelling and the continuous pursuit of adventure and “wanderlust” led Nikos to become an IT Engineer in 2008, trained in a company related to data recovery in Milan, Italy. The Italian company wanted to set up a subsidiary in Greece, which, in the end was not managed in the best possible way. The phrase “perfect timing” was appropriate at this point. All this time, Nikos found the difficulty that faces all export companies, how to find quality translation services, even though the Internet and e-commerce in general were on the rise. The seed for this idea was planted in his mind as he worked actively alongside other activities and occupations. In September 2010, having little knowledge about web development and with just two month’s salary, he created a simple website with a form that anyone could complete in order to have the translation they needed. A very small team of translators carried out the work. Gradually, more and more customers from all over the world started using his services, and as time passed, the annual turnover grew 4 times each year. In 2015, the company participated in an innovation accelerator known as InnovationFarm and developed its business plan with a view to automating the process, expanding and providing the service abroad. The new business model was named Speakt located in London and in December 2016 managed to attract 2 Angel Investors, who funded the idea. The platform operates on speakt.com and provides a professional translation of any text file. Soon, the company through the Crowdsourcing model, will enable anyone who speaks a foreign language to provide translations for the company and earn money. The company also has an Economy package. The Standard and Expert packages are operated by professional certified translators and are a B2B service. The company’s vision is to make its name, Speakt, synonymous with language services related to translation, interpretation and content creation by writers and text editors. Our team consists of 4,000+ Translators, 2 back-end / front-end developers, 3 specialized people in Digital Marketing, 2 people in Customer Service, 1 Accounting Manager and 2 Project / Sales Managers. By providing a multilingual service on a daily basis, we can assure you that we know exactly what you need, so a translation from us will be a great experience for you!